Several days ago a suspicious fire began in the Deep Creek Mountains near Rockland, Idaho, and burned fast — the Rockland Fire. It is now 4000 acres. 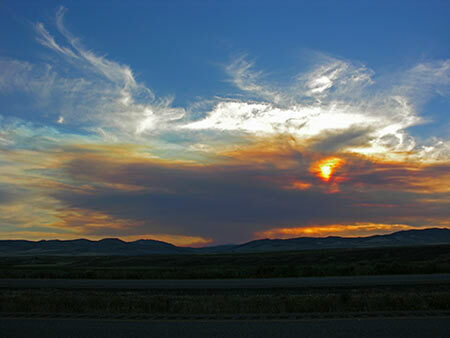 Yesterday another suspicious fire broke out about 10 miles SW of Rockland at the base of the Sublette Range. It is burning hard. It is 3000 acres and no containment. It’s the Green Canyon Fire. These are two nice Great Basin mountain ranges near the Idaho, Utah, Nevada border that have seen little fire activity in recent years. Location of the Green Canyon Fire. Sept. 6. Rockland fire map. This photo was taken from Marsh Valley, Idaho. The mountains on the horizon are not the Deep Creek Range where the fire burned in 2006 (I guess you know that).